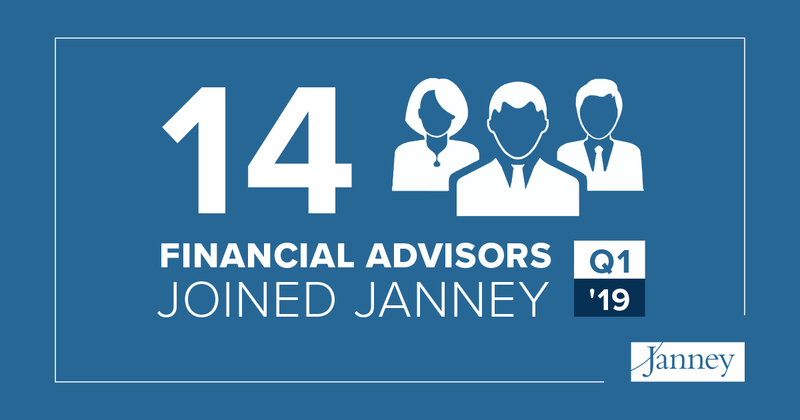 PHILADELPHIA – April 9, 2019 – Janney Montgomery Scott LLC, a leading full-service wealth management, capital markets, and asset management firm, added 14 Financial Advisors to its Private Client Group in the first quarter of 2019. In total, they manage nearly $1.1 billion in client assets. Janney has over $80 billion in assets under advisement as of April 1, 2019. Since 2015, Janney has welcomed more than 200 Financial Advisors to its Private Client Group.